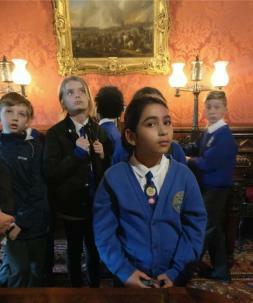 This is a child-led investigation into country houses across the country and their connections to the British empire, including slavery. One of her sites is Penrhyn Castle, where she has been working with the pupils of Our Lady’s School in Bangor. This project has been recognised as a model for the ways in which academia can work successfully with heritage organisations and community groups in exploring contested histories.